Buenísima oferta, nuevo, sin uso. Precio negociable. 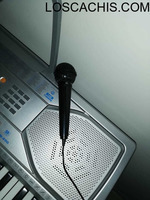 Yamaha tyros 5 keyboard With Speakers. 2 medios. 1 bajo. Amplificafor audiopipe de 1500 watts.